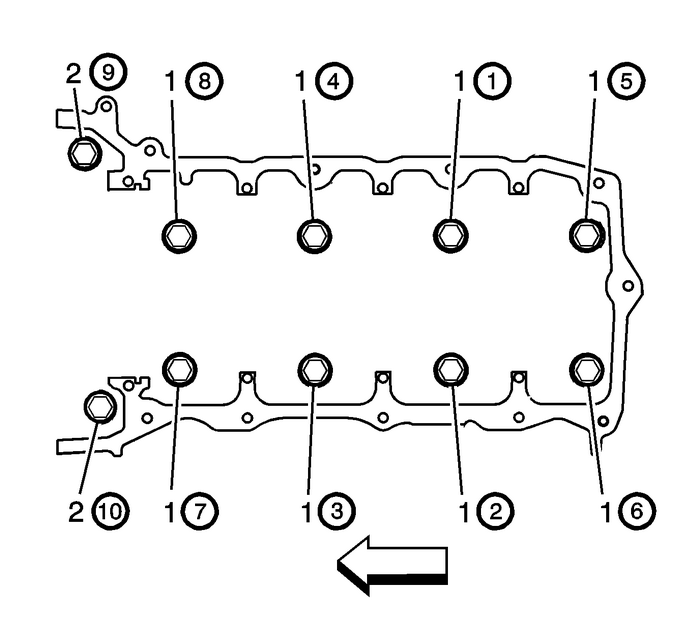 Ensure the cylinder head locating pins are securely mounted in the cylinder blockdeck face.Install a NEW left cylinder head gasket-(1) using the deck face locating pins forretention. 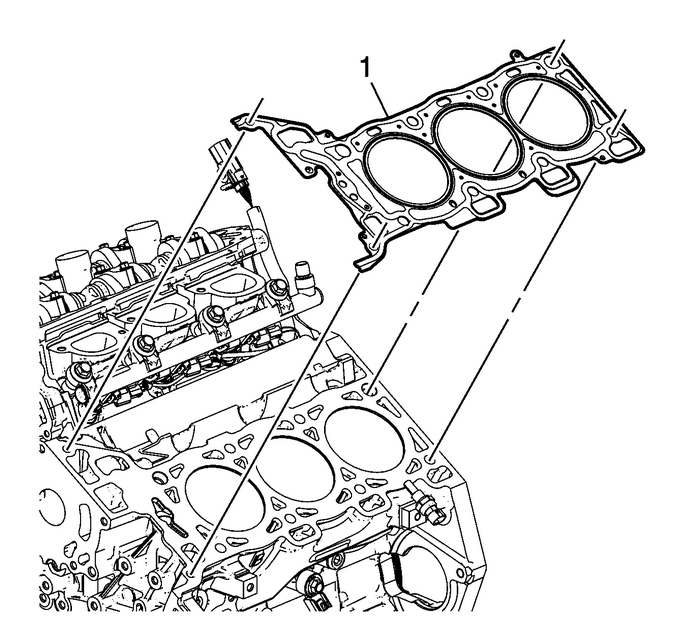 Align the left cylinder head-(3) with the deck face locating pins.Place the left cylinder head in position on the deck face. Note:DO NOT allow oil on the cylinder head bolt bosses. 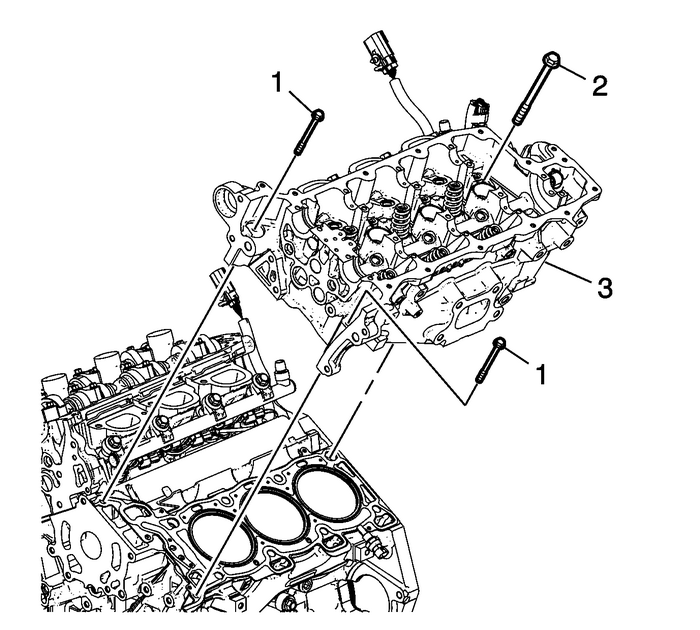 Install the NEW M11 cylinder head bolts-(1).Tighten the M11 cylinder head bolts a first pass in sequence to 30-Y (22-lb-ft).Tighten the M11 cylinder head bolts a second pass in sequence an additional 150-degrees using the EN 45059 meter.Install the 2-NEW front M8 left cylinder head bolts-(2).Tighten the M8 cylinder head bolts a first pass to 15-Y (11-lb-ft).Tighten the M8 cylinder head bolts a second pass in sequence an additional 75-degrees using the EN 45059 meter.